Sales and marketing professionals in the legal and finance sectors are in great demand in the UAE because the businesses are expanding their markets. They are planning a strategy for overcoming the local challenges and emerging economic conditions. These professionals expect salary hikes. Financial, technological and manufacturing sectors will grow because the government is providing incentives in order to diversify industries in this region. It is likely that professionals who have a local experience and nationals of GCC who have international experience will be Highly Demanded by the Employers. 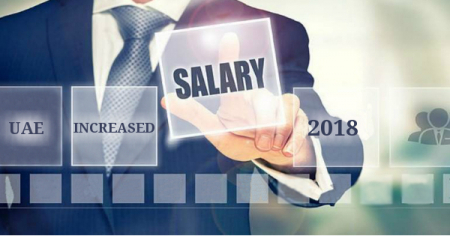 It is projected that UAE employees will see an increase in salary. New digital technologies will disrupt many sectors in GCC region and affect the public administration, apart from infrastructure, health, and professional services and force companies for creating more digital jobs. Digital jobs become adaptable while facing technological disruption, in areas related to emerging technologies like IT, Data Analysis, Nanotechnology, Artificial Intelligence, and Biotechnology. The jobs in these Domains which involve production, implementation, distribution, and servicing of ICT will be in demand and there will be the prospect of a high salary. The new series of jobs will grow mainly in Block Chain, Drones, 3D Printing, Augmented Reality, Virtual Reality, The Internet of Things, Artificial Intelligence and Robotics. There is a great demand for skills related to Statistical Analysis, Data Mining, Public Policy, International Relations and Algorithm Design. The nationalization programs will dominate in the GCC area and additional legislation is expected, which will limit more sectors and roles to be allotted to the locals. Kingdom of Saudi Arabia, Oman, and UAE today focus on nationalization in the oil and gas segment and also in non-petroleum segment. Creating Jobs assumes priority and the public sector is expected to be upbeat along with services industry and manufacturing. Presently, as an impact of the strategy of Emiratisation, which puts rewards on the banks on their ability to provide a career to the nationals of UAE, UAE nationals who are based abroad will return home. 80 percent of talent acquisition leaders in the company of hiring managers showed in a recent survey that gender, ethnic, age, racial, and educational diversity was a top trend which was affecting their hiring. All companies will prioritize diversity for a better culture and financial performance. The reason for this development is that diverse teams tend to be more productive, innovative and better engaged. A new age interview process had emerged in the Middle East and North Africa region to deal with the modern issues and problems as against traditional job interviews. There was a need for interviewing innovations and soft skills tests, job auditions, meeting candidates in informal settings, video interviews, and virtual reality assessments were becoming popular. The modern era of talent intelligence allows recruitment of professionals in using the data to impact on the strategic direction of their establishments and boosts their careers. Data analytics is a significant part of hiring. Hiring managers in the region also know the power of artificial intelligence and in the ways; it can help to make the work faster, by opting for automation of administrative tasks, and for generating smart insights. To get more information please Email us at [email protected] or call us 7207111222. One of our experts will meet your expectations and provide answers to queries.